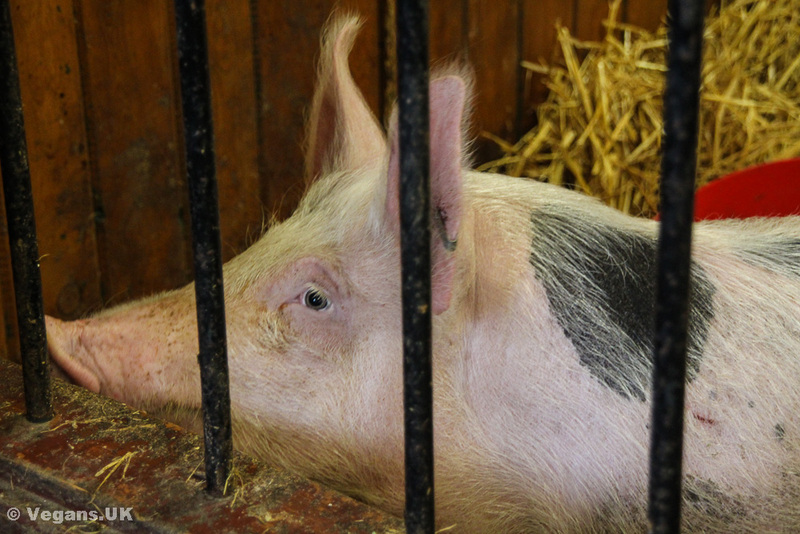 A few years ago, Steve Jenkins was offered the chance of rehoming a mini pig. He jumped at the chance – what could be cuter? – but he neglected to inform his partner Derek of his plans. As you can imagine, arriving home to an unexpected pet is always going to have its pitfalls, especially as the couple already had two dogs and two cats in their modest sized house. But who could resist a mini pig in the end? They named the pig Esther and she became part of the family. The book tells the story in Steve’s voice and documents how the pair went about welcoming a pig into their home. There were many challenges, but these became even more difficult when Esther wouldn’t stop growing. It’s no spoiler to say that Esther was a piglet when adopted and proceeded to grow into a full sized, (six hundred and fifty pound) commercial pig. Commercial pigs, as the name suggests, are the type of pigs that people normally chop up and make into bacon, ham and pork. Although meat eaters before Esther arrived in their lives, her presence led both men to become vegan. They are now animal advocates and Esther even has her own facebook page and twitter account. You can catch up with her adventures every day on social media. There’s always a cute picture or video and an amusing caption! This book is a lovely, easy read that will warm your heart and tickle you by turns. The writing is a casual, chatty style that endears you to both Steve and Derek. There’s so much love for animals here that it’s impossible not to like them. I even secretly wished I could have a piggy companion too, but be warned anyone who finishes this book feeling the same – there’s no such thing as a mini pig!! !